August & November Pay and Stay Deals! 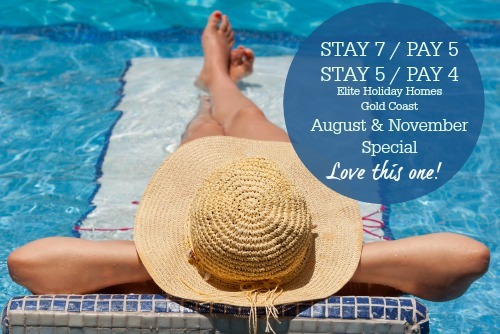 Pay and Stay deals at Elite Holiday Homes ~ Book before the 31st of July (2015) to stay in August or November (2015) and you will pay for 5 nights when you stay for 7 or pay for 4 nights when you stay for 5! Bookings will be subject to availability. For full terms and conditions go here. To BOOK this DEAL now please use the form below and quote ‘STAY & PAY DEAL’.